LIGHTS! CAMERA! ACTION! On July 18th, Raland J. 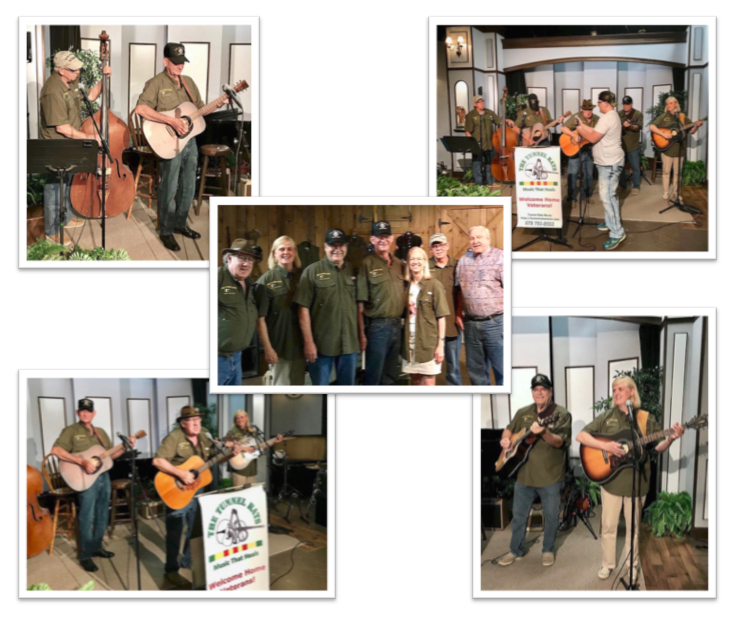 “Pat” Patterson, local author and host of the “Those Who Served” show at ETC TV3 , interviewed Tunnel Rats veterans Sid Orr and Joe Curry about their service during the Vietnam War and invited the Tunnel Rats Band to perform on the show the following week. 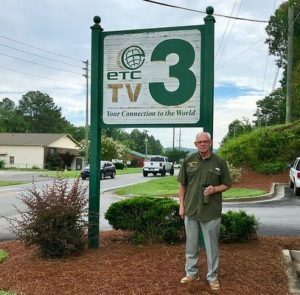 ETC TV3’s studio located in Ellijay, GA provides regional programming for the north Georgia region. Pat Patterson heard the Tunnel Rats music in an unusual way. Returning home from a Tunnel Rats gig in Blairsville, Sid and Robin stopped to grab a bite to eat. When they hit the road toward home, traffic was so heavy, they couldn’t make a left turn. They turned right knowing they could turn around in a few blocks at the Mercier Apple House. 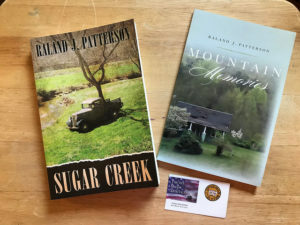 It just so happens, Pat Patterson was at the Mercier Apple House for a book signing. Sid recognized his distinctive old Ford truck parked in front of the Apple House from a business card a friend had given him a year earlier. Sid’s friend told him about Pat’s show and how Pat might be interested in The Tunnel Rats and their music. 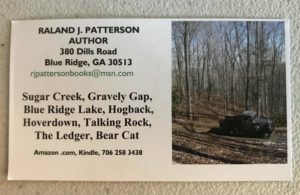 The windows in Pat’s truck were open, so Sid and Robin left copies of the two Tunnel Rats CDs and a business card on his front seat. Several days later, Robin received a call from Pat. “Are you the one who left the CDs in my truck?” he asked. He said it made his day and wanted the Tunnel Rats on his show! They’d video an interview with two of the bands’ veterans, and the following week, feature The Tunnel Rats band doing their Vietnam Tribute performance. Sid and Joe arrived bright and early July 18th for their interview with Pat. The set was an impressive display of military artifacts donated by guests of the show. Pat made them feel right at home. Once they were mic’d and the cameras rolled, Pat, Sid, and Joe swapped stories about their service in Vietnam. They talked about Sid’s Marine Corps experiences and his thirteen months in country. 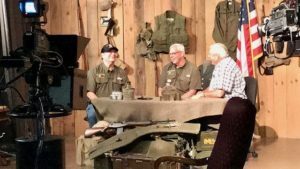 They discussed the message behind the Vietnam ballads and how important it was to spread the word – to other veterans, their families, and their communities. The following week, the entire band traveled to ETC TV3 studios to perform their tribute show on camera.